It is estimated that the average Swedish person spends around 90 % of their time indoors – yet we don't know much about Indoor Air Quality (IAQ) and how it affects us. Here's an introduction to IAQ and how different flooring systems contribute. INDOOR AIR QUALITY– What is it? Indoor Air Quality (IAQ) refers to the quality of air within buildings and is known to affect the health, general wellbeing and comfort of building occupants. IAQ is a constantly changing interaction of complex factors such as; temperature, humidity, gases, outdoor pollution, biological agents (mold, bacteria), emissions, pets dander, ventilation, and moisture. To name a few. But even building materials and maintenance play a part in affecting the IAQ. We're concerned with flooring and how it affects IAQ. How do different floors differ from each other? How do different flooring systems trigger asthmatic and allergic reactions in building occupants or cause the development of asthma symptoms in people who are sensitive to such impacts? Flooring and other building materials affect the indoor climate. Contaminants such as dust, pet dander, allergens, liquid and other dirt (which may originate from indoors or outdoors) is prone to getting trapped in textile carpet and those pollutants may become airborne during renovation, vacuuming or simply walking on the carpet if you don't take care of your flooring and maintain it regularly. Such pollutants accumulating on the floor may, or may not, trigger asthma attacks and allergic reactions. This is a hotly debated topic however, as recent studies suggest that carpet doesn't trigger allergic reactions more than that of any other flooring system. Regardless –the most important thing to remember for carpet or hard surface flooring, is to clean it regularly. This will eliminate excess dust and allergens from getting into the air. If purchasing a textile carpet, choose one that releases fewer VOC* and is constructed to prevent liquids from penetrating the backing layer where moisture under the carpet can lead to mold growth. If possible, make sure to have the carpet installed when the space in unoccupied and only use non-toxic adhesive in the installation. 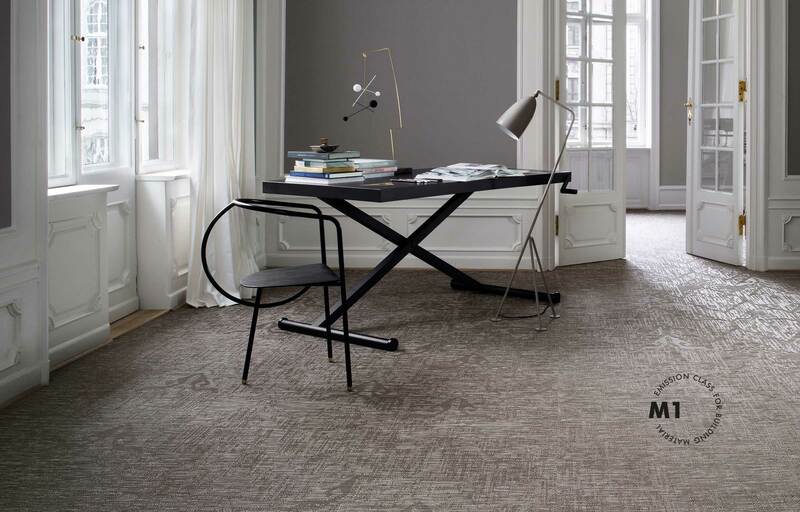 All Bolon collections are M1 certified – guaranteeing a low emissions flooring. One of the strongest features of woven vinyl flooring is its positive impact on Indoor Air Quality. Kai Gustavsen from the Norwegian Asthma and Allergy Association, NAAF, claims that from a health, environmental and safety perspective, Bolon fills all criteria. 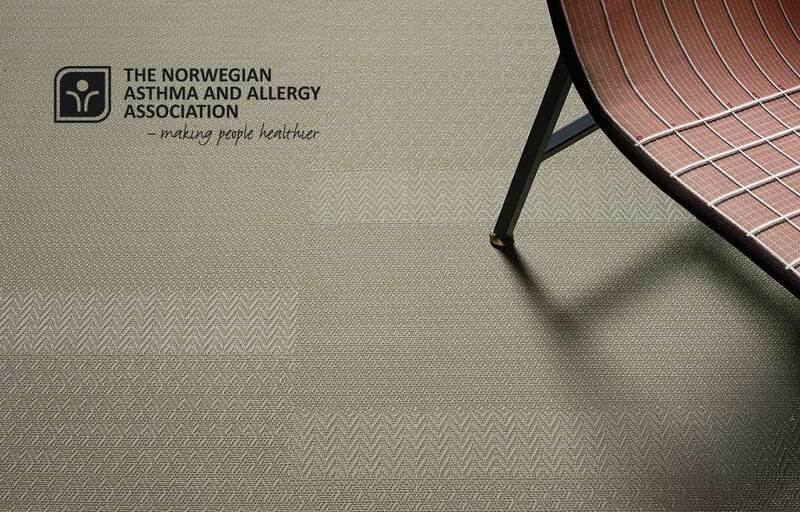 Bolon contributes positively to indoor air quality, and he therefore recommends Bolon flooring both in respect to those diagnosed with asthma, allergies and other types of hypersensitivity but also for non-allergic people, as the flooring doesn't allow the accumulation of allergy-causing substances that trigger asthma. From en environmental perspective, apart from certified by certifications like BREEAM and ECO-product, Bolon's flooring is completely free from phthalates and have very low VOC-emissions which also contributes to greater indoor climate. Read more about NAAF and Bolon here. Bolon flooring is a great choice in terms of Indoor Air Quality. Indoor Air Quality might not be the most exciting aspect of choosing floors, but it seems important to realise that the built environment affects the indoor climate. Air quality within the home or workplace is a critical factor to health and wellbeing – especially in times when allergy and asthma are increasing enormously. *VOC are potentially harmful chemicals released by products for cleaning, personal care and building products, such as flooring. The most common certification labels to look for in terms of Indoor Air Quality are Green Label Plus, Floorscore and Greenguard. Those act as a guide for how the flooring affects the indoor climate. Read more about flooring maintenance and how it affects indoor air quality in an earlier blog post.